Preheat a waffle iron. Spread fig jam onto 4 slices of bread. Top with ham, pickles and cheddar cheese, dividing evenly. Cover with remaining bread slices and butter tops of sandwiches. 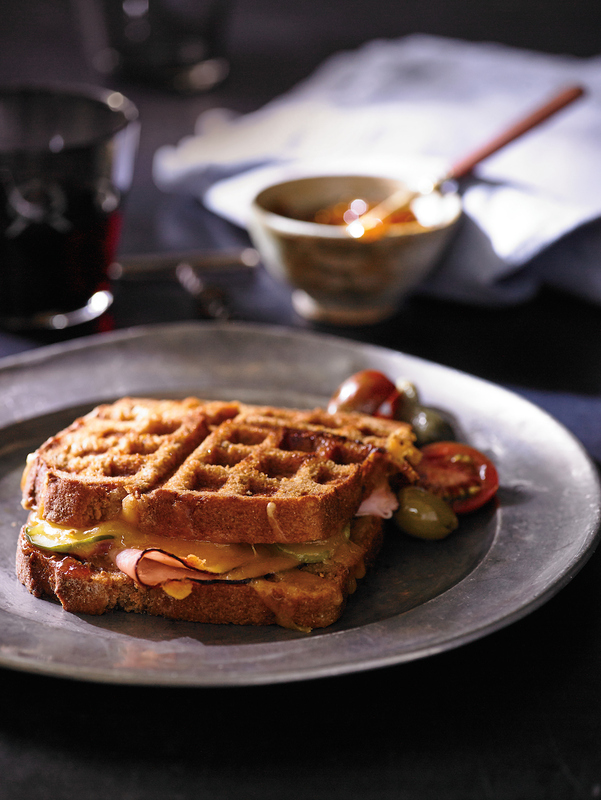 Place one sandwich at a time on the waffle iron, butter side down, and butter remaining side. Grill until browned and cheddar cheese is melted (about 5 minutes). Remove to oven, preheated to 250°F, to keep warm. Repeat with remaining sandwiches and serve immediately.